This is the replacement Start Runway for the Bassin Anticipation Timers. For countries requiring 220-230V AC 50 Hz operation, Model 35571*C is available with localized AC mains cord. International pricing will apply. 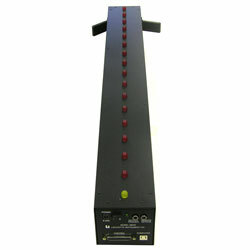 For more information about the Model 35575 Bassin Anticipation Timer, view the ACCESSORIES tab.